We Train Techs(students) on ALL BRANDS, including High End! CUSTOMER'S APPLIANCES, NOT CLASSROOM, IMITATED PROBLEMS! Appliance repair technicians have been forced, forever, to learn on the job, and this is Not Fair to the customer or the technician! Now, Finally, there is an Appliance Repair Tech School to teach prospective technicians the appliance repair trade, Hands-on, In the Real Customer's Homes, working on the REAL Customer appliance Problems, so they become the Most knowledgable and professional in the customer's home when they are faced with fixing an appliance, of ANY BRAND, when they go on to start their own appliance repair business or work for an appliance repair company, upon completion of the Appliance Repair Tech School! We are NOT Affiliated with SubZero at all! Appliance Repair Tech School Training, anywhere in the world! Not a waste of time classroom, with 10-50 students! where prospective appliance repair technicians can learn all about the Major Brand Appliance Products, and the troubleshooting, diagnosis and detailed service and repair procedures for each, in the REAL Scenarios as they happen and fail with REAL Customer Appliances. There is no need for appliance repair technicians to learn on the job anymore, or in some clinical setting that all other so-called training courses are made up of! Learning in the homes of Real Customers and working on their Real Problems they are having with their own appliances, beats any classroom instruction anyone might attempt top give you, that comes no where near what you will see in the REAL World of appliance repair! Taking these other courses of classroom, clinical setting, simulated appliance problems courses, is not only a waste of your time, but will not prepare you for Real World work in the appliance repair filed, nor will it make you ready to walk into a customer's home and feel confident you know what you are doing. Being there, in the customer's hoimes for 3 weeks, having ONE_ON_ONE Instruction from our Experienced Technicians, working on the customer's REAL Problems with their appliances, CANNOT be equalled by any classroom instruction. We basically offer you On the Job Training! This makes you Confident when you finish the training, to go on to start your own appliance repair business, work for an appliance repair company, knowing you have seen, touched and fixed the REAL Problems you will see over and over again, when you go out and start working on appliances yourself! Appliance Repair Tech School takes you ONE-ON-ONE, In-Home, and Trains you in the REAL WORLD of Appliance Repair, Learning, Diagnosing, Troubleshooting, Repairing and Servicing all Major Brand Appliances, with the REAL Problems you will encounter out in the field, In the REAL Customer's Homes, Hands-On, so you work on the REAL Appliances that are not functioning, NOT IN A CLASSROOM WHERE ALL THE PROBLEMS ARE SIMULATED, which does not give you the REAL Experience of what you will see when you go out and start doing appliance repair! Avoid wasting your money taking courses that teach you in a classroom, which any real technician will tell you, is not what you see when you are really out in the field working on Real Customer Problems! Most Courses do not have Experienced Technicians training you, that have been in the field working on Real Customer Appliances, therefore they cannot train you in the REAL World, but only by theory and simulation of what Might be out there. You actually SEE and FIX the Real Problems with appliances, that customers call about, when you take the Appliance Repair Tech School Training! There is NO SUBSTITUTE FOR THE REAL THING! Customers deserve to have Qualified, Trained, and Professional Technicians in their homes fixing their appliances, not a man or woman who has never seen or worked on their appliance before, but is going to learn as they go! Appliance Repair Tech School is working to train all prospective technicians to know what they are doing when they arrive at a customer's home, to work on their appliance. We have decades of experience in appliance repair, and are dedicated to teaching our knowledge to the new technicians of tomorrow. Appliance Repair Tech School is located in Sunny, San Diego, CA, and is a Perfect opportunity for you to possibly combine your vacation, with your appliance repair tech school training! NOW is the time to get your training, to repair appliances, due to the appliance repair industry not being affected at all by the economy...Everyone Has to have a working appliance, Repaired by a Qualified Appliance Repair Technician! 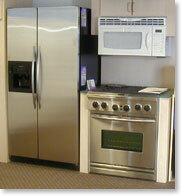 training you will get at Appliance Repair Tech School! Some, if not all, of these other courses you might run into that are supposing to teach you appliance repair, have been stating that there is Some Nationally Recognized Certification they give you, so you can get a job after training with them. 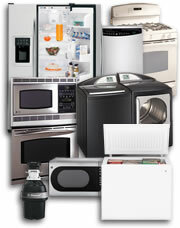 There is NO NATIONALLY RECOGNIZED CERTIFICATION IN THE APPLIANCE REPAIR INDUSTRY, AT ALL! DO NOT FALL FOR THIS SCAM AND DECEPTION! 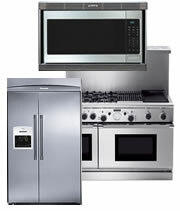 What is required in the appliance repair trade, IS EXPERIENCE in appliance repair! We give you that One-on-One Hands-on, In-Home, On the Job, Experience, for 3 weeks, that NO OTHER COURSE DOES! aLL OTHER COURSES OFFERED ATTEMPT TO TEACH YOU IN A CLASSROOM, WHICH IS THE FARTHEST FROM REAL WORLD EXPERIENCE THAT THERE IS! in a classroom, and NEVER TOUCHED A REAL CUSTOMER APPLIANCE! WITH A REAL CUSTOMER'S APPLIANCE? here at Appliance Repair Tech School!